This year Victorinox expanded their ultra-durable I.N.O.X. watch collection with a new automatic version, as well as a new quartz model in titanium. Standard features such as a protected screw-down crown, screw-in caseback, and stamped monoblock dial ensure 200 meters water-resistance as well as durability in numerous other areas such as against magnetism, shocks, and more. A Ronda 715 Swiss-made quartz movement drives central hours, minutes, seconds, and the display. The rubber strap versions retail for $695 and are delivered with a translucent protective bumper with a removable magnifying glass. 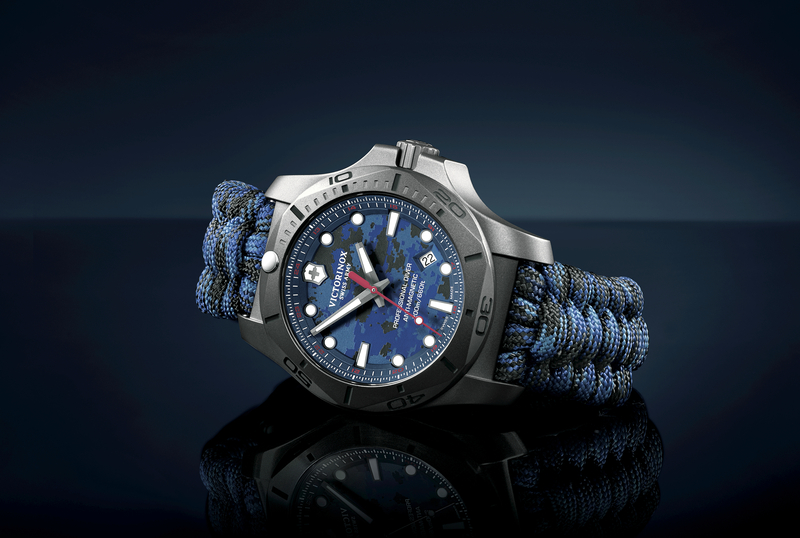 The paracord versions are $750 and are delivered in a shockproof box with an additional rubber strap and a protective bumper with a removable magnifying glass.